The Backlit Gallery in Sneinton is hosting a ‘immersive Virtual Reality experience’ on 9 July. 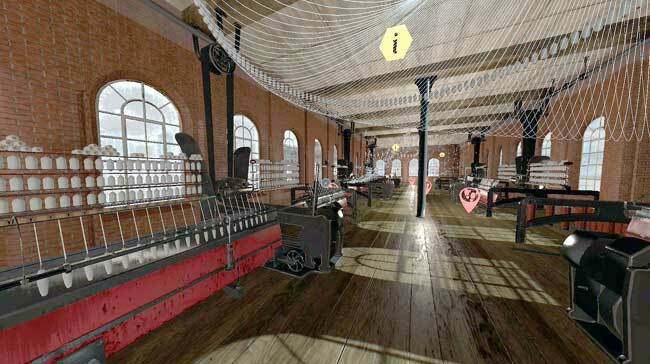 By wearing a VR headset visitors will be able to explore the sights and sounds of the textile factory of I&R Morley as it looked in the late 19th century. The VR experience is part of a day of events at Backlit on 9 July, from 12 noon to 5pm, which will be devoted to Sneinton and the life and legacy of Samuel Morley (1809-1886), a Nottingham MP, textile manufacturer, social reformer and philanthropist. 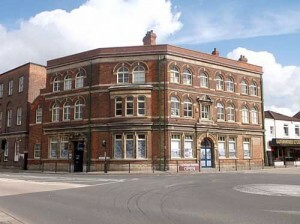 The Backlit Gallery is at Alfred House, Ashley Street, Sneinton, Nottingham NG3 1JG. This entry was posted in Events, Nottinghamshire on 01/07/2016 by Andy Nicholson. 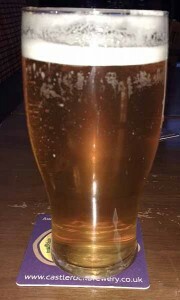 The Gainsborough Heritage Centre are holding a new exhibition called ‘Mine’s a Pint’ which opens on 28th November and runs till 16th January 2016. The pubs in Gainsborough were an important part of the cultural aspect of life for workers from the factories of Marshalls and Roses, to the workers who came to Gainsborough, via the busy wharfs and warehouses on the River Trent, to the pubs which ran the length of Bridge Street. 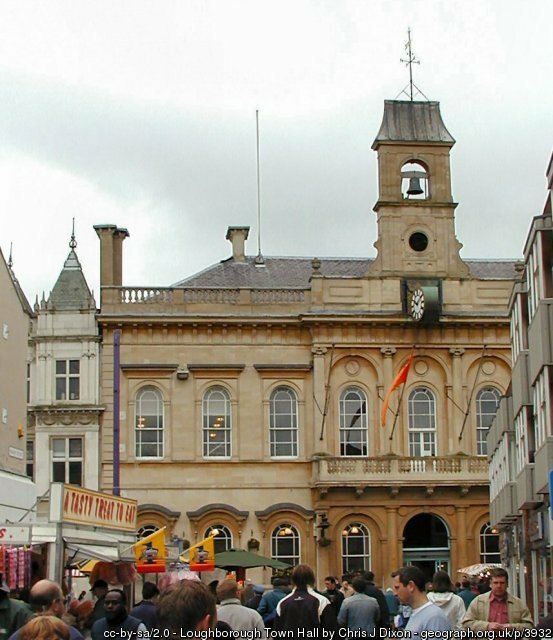 The Centre on 12 North Street is open on Saturdays from 9am until 3pm and the 2nd and 4th Sundays of the month from 11am until 4pm. During the week the Centre is open on Tuesdays from 10am until 3pm. The exhibition entry fee is £1.50 to non-members of the Association. The standard yearly membership fee for members is £10 and the benefit of this is free entry to all of the Centre’s exhibitions. 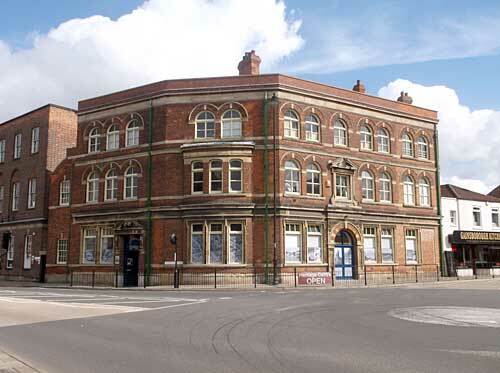 Further details can be obtained about the Heritage Centre by email: chairman@gainsboroughheritage.com or visit www.gainsboroughheritage.com or call 01427 610526. This entry was posted in Events, Lincolnshire on 17/11/2015 by Andy Nicholson. 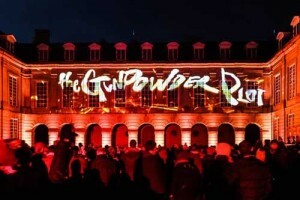 Northamptonshire’s Boughton House is reaffirming its role as the home of Bonfire Night with the return of sell-out show, The Gunpowder Plot. Tickets have gone on sale in September for the Estate’s third annual spectacle of performance, projection and pyrotechnics in November. The centuries old tradition of thanksgiving was reinstated on Bonfire Night at Boughton House in 2013 in tribute to Edward, First Lord Montagu of Boughton- the father of Bonfire Night. Edward personally sponsored legislation known as The Observance of 5th November Act 1605, which called for an annual thanksgiving for the failure of The Plot to assassinate King James I of England – setting in motion a tradition which has spanned centuries. The Estate, home now to Edward’s descendant, the Duke of Buccleuch, will become a backdrop to the event telling the thrilling story of Northamptonshire’s infamous conspirators, as the production, in association with Northamptonshire County Council and Leicester-based theatre innovators METRO-BOULOT-DODO, returns on November 5th, 6th and 7th. The Gunpowder Plot takes place at Boughton Estate on November 5th, 6th and 7th. Tickets are on sale from Royal and Derngate (www.royalandderngate.co.uk) priced at £12.50 per adult and £8 for concessions. For more information on upcoming events at Boughton House, visit www.boughtonhouse.co.uk. This entry was posted in Events, Northamptonshire on 09/10/2015 by Andy Nicholson. The Gainsborough Heritage Centre are holding a new exhibition called Work Hard Play Hard which will be starting on 26th September. This exhibition will showcase the sports played by local people, including teams from the Marshalls and Roses factories. The sports this exhibition will be exploring are football, cycling, tennis, cricket, hockey, golf, bowls and much more. Sport has always been a popular form of recreation within the town so come along and see if you can spot a relative or two. This entry was posted in Events, Lincolnshire on 05/10/2015 by Andy Nicholson. 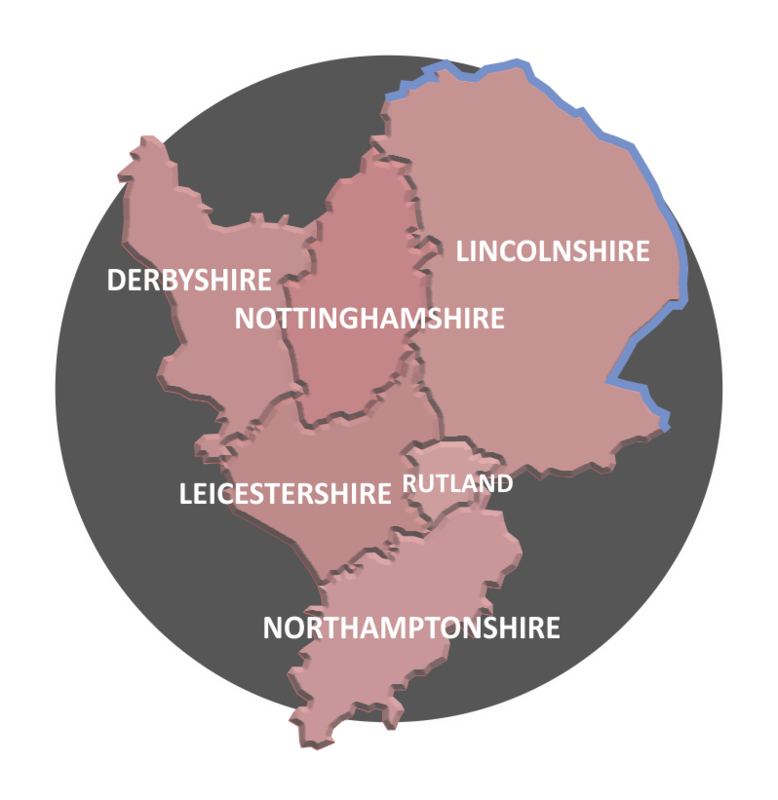 An international conference organised by the University of Leicester’s Centre for English Local History will celebrate the opening of the National Civil War Centre at Newark Museum, Nottinghamshire, on 7-8 August 2015. The conference will examine care and military welfare during the British Civil Wars, embracing themes such as hospitals, medicine, surgery, nursing, disease, wounds, maimed soldiers, war widows and orphans. It will also focus on the costs of these wars, as well as the social memory and lasting scars of this important series of conflicts. The conference also celebrates the establishment of a Wolfson Foundation Research Centre for Care, Welfare and Medicine during the British Civil Wars based at Newark Museum and in partnership with the University of Leicester. For a full programme and information on how to register for one or both days visit www2.le.ac.uk/conference or email Dr Andrew Hopper at ajh69@le.ac.uk. The £50 registration fee for both days includes free entry to the NCWC, buffet lunch and refreshments, and wine and real ale receptions thanks to support from Midland History and Springhead Brewery. 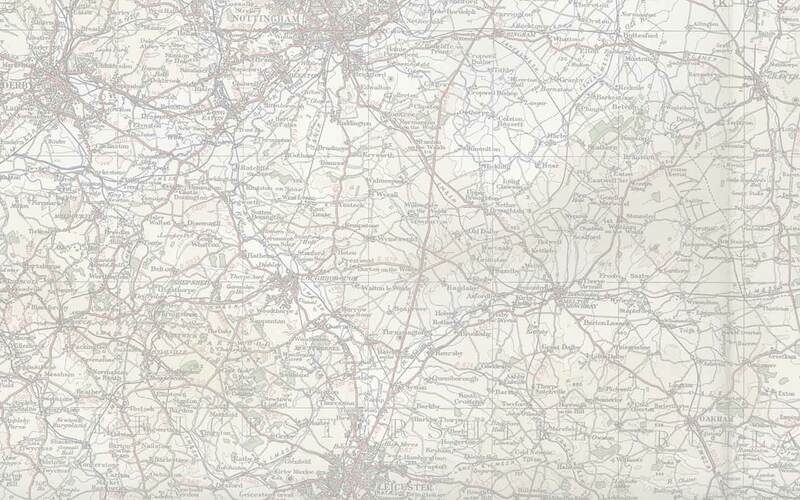 This entry was posted in East Midlands, Events on 29/06/2015 by Andy Nicholson. In June The Nottinghamshire & Derbyshire Labour History Society is supporting several events for the Haslam and Harvey statues Centenary. The statues of William Harvey MP and James Haslam MP have been standing on plinths outside the former NUM offices in Saltergate, Chesterfield, for the past 100 years. 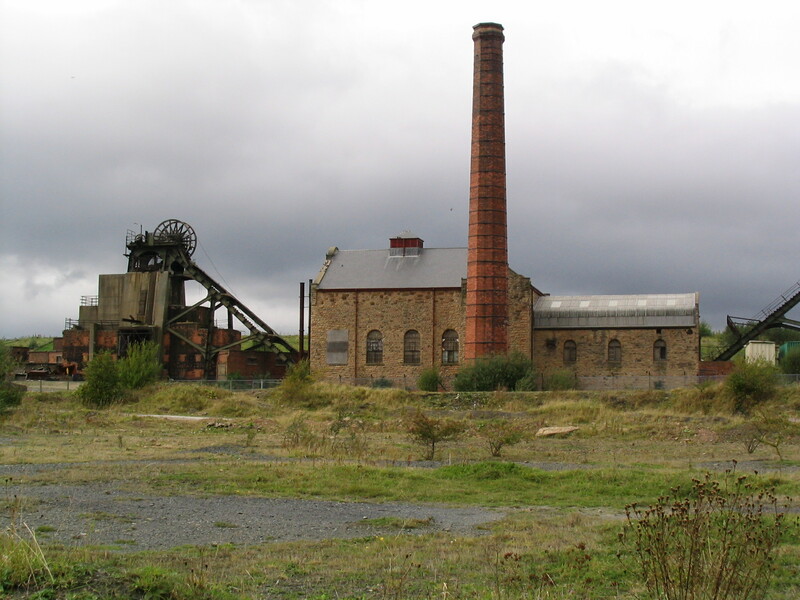 The society is working with the Derbyshire Library Service and the Chesterfield Borough Council to use the centenary to celebrate the history of the Derbyshire miners. The programme begins on Friday 26 June with a short ceremony outside the building at 7pm to unveil an interpretation board. Refreshments will be available in the Labour Club opposite the statues from 6pm, and after the ceremony until late. On Saturday 27th June there are talks in the Chesterfield Library at 10 am about Haslam and Harvey, followed by a lunchtime buffet and a Round Table discussion on Derbyshire miners’ history. Events on both Friday and Saturday are free. If you want a buffet lunch for £8 on the Saturday 27 June, you will need to buy a ticket in advance at Chesterfield Library, tel. 01629 533400. This entry was posted in Derbyshire, Events on 04/06/2015 by Andy Nicholson. The Loughborough History and Heritage Network was launched in December 2014 as a collaboration between Loughborough University and Charnwood Museum. Our features range from the Loughborough Workhouse Elections of 1893 to Indian Thought and the shadow of Lord Macaulay (a talk by Sir Christopher Bayly at Rothley Temple); there is also an account of the career of Walter Freud (Sigmund’s grandson), who was arrested during his chemistry exam at Loughborough College, then interned but ended the war in the Special Operation Executive, and much more. We are holding a Community History Day at Burleigh Court (Loughborough University) on Sunday, 21st June, 10.00 am – 5.00 pm. Entry is free but please contact Karen Ette at K.M.Ette@lboro.ac.uk if you want to come. This entry was posted in Events, Leicestershire, News, Uncategorized on 05/05/2015 by Andy Nicholson. The Archives reopened on 28th April 2015, following a £2.5m investment to refurbish and extend the archives building. improved computer suite for accessing digital heritage, with free public wi-fi throughout the building. Opening times are Tuesdays 9am – 7pm, Wednesdays to Fridays 9am – 5pm and Saturdays 9am – 1pm. 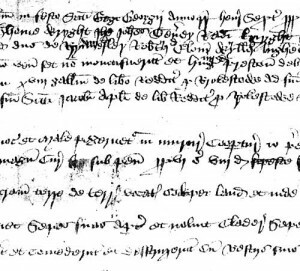 A programme of events is planned – including an Archives Fun Day on 2nd May. More information is available from the Notts Archives website. This entry was posted in Events, News, Nottinghamshire on 30/04/2015 by Andy Nicholson.